This month we’re excited to once again be partnering with Don Shire Ministries and the Jehovah Rapha House, a special needs orphanage in Haiti. Last year when we helped the Jehovah Rapha House, they had just found out they were being evicted because the owner didn’t realize they were housing “ugly children”. We are happy to report that God has since provided a facility for these kids to live in. Last year we were able to give them just over $3,000 to use towards food, and we’d like to do even more this year! All the children at Jehovah Rapha House have special needs and have been rescued from difficult situations. 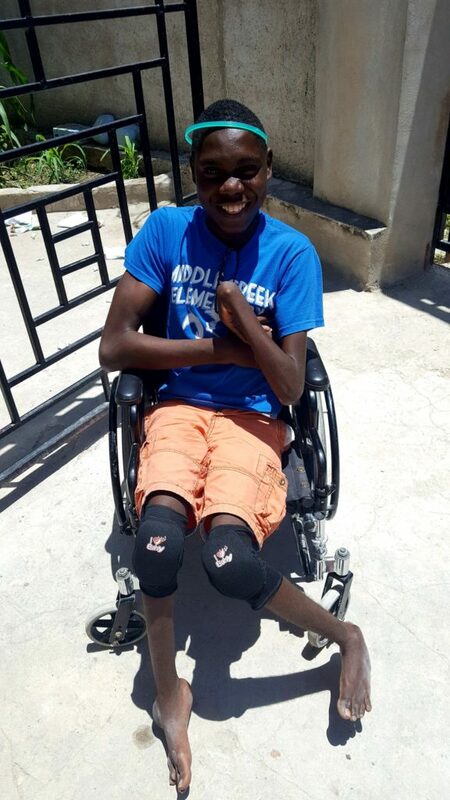 Unfortunately, little ones with disabilities in Haiti are looked at like a curse. Recently, a 4 year old boy was found abandoned at the hospital. Others have been found abandoned in the street or at the dump. These children will more than likely never be able to hold down a job and offer financial assistance to the family, so they become a burden. Some may want to forget the faces of these beautiful children, but the Jehovah Rapha House not only feeds and clothes them, but values, treasures, and loves them. The needs are great, but one ongoing opportunity is to provide food for these precious kids. It costs about $2,000 to feed all 33 children each month.We’d like to cover at least one month of food costs. That’s about $60 a month per child or the entire orphanage can be fed for a week at $500. Every gift matters. Let’s dig deep! Can you help?